Description Evil scientist have former an alliance called the League of Evil. A lone agent is sent to take care of this threat. 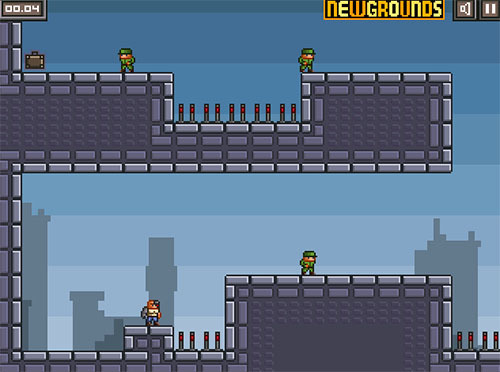 Jump, run and fight your way through 40 levels. I like pixel games. And this one is almost perfect. Graphics, music, levels - awesome.